I associate grassland sounds with the days of my childhood. I remember sitting or lying in the grass with a blade of grass in my mouth, basking in the sunshine, and looking at the birds flying by - getting lost in the magic summer meadow sounds – sounds of chirping birds, chirring grasshoppers, and buzzing bees. Now these sounds awake in my mind memories about that past carefree happy-go-lucky days of my childhood, days I’ll never forget. You can hear other bird sounds in the background, other nightingales as well as thrushes & crows. May 2010. The above recordings of birdsong played individually are mini soundscapes in their own right. Uniquely, played together - a cacophony of sound - to some perhaps almost orchestral. I am afraid tone deaf. There were two masters of the recording and interpretation of birdsong in the 20th Century both seminal in their production, in different ways, of the soundscape of birdsong in the countryside: Ludwig Koch and Olivier Messiaen. The work of Ludwig Koch (1881-1974) is remarkable in that it represents a pioneering attempt to document the natural sound world using recording technology. During his lifetime, Koch devoted himself to collecting the sound phenomena he heard in the world around him. When he arrived in England in 1936, Koch began to travel all over the British Isles, capturing birdsong and the sounds of natural environments on wax discs before transferring these to shellac. This was a long and laborious process, often requiring hours or even days of observation of a particular bird before beginning to record its voice. 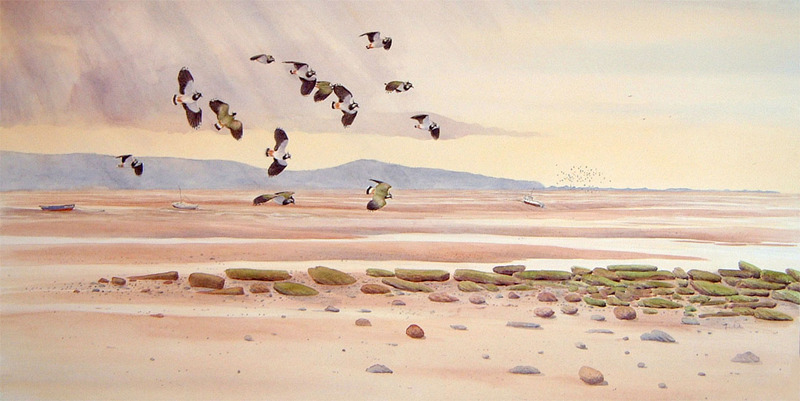 Koch’s first British recordings were published as Songs of Wild Birds in 1936, in partnership with the ornithologist E.M. Nicholson. This was followed by More Songs of Wild Birds in 1937. These unique collections combine textual descriptions of the songs and habitats of a variety of species, illustrations of the birds themselves and excerpts of their recorded songs and calls. 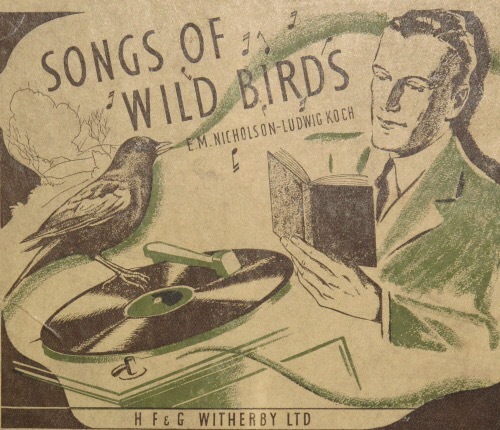 Koch described Songs of Wild Birds as ‘the first sound-book of British birdsong’ – an early multimedia document that combines text, image and audio. What is remarkable about Koch’s recordings of birdsong is how skilfully he manages to isolate the songster within the recording, yet still captures elements of its surrounding environment - rather like a soloist performing to the backdrop of an orchestral accompaniment. This provides the listener with a clear sense of the habitat in which the featured bird lives: in other words, the recording presents a particular ‘soundscape’. Birdsong fascinated Messiaen (1908 – 1992) a French composer, organist, and ornithologist, one of the major composers of the 20th century. His innovative use of colour, his conception of the relationship between time and music, and his use of birdsong are among the features that make Messiaen's music distinctive. An early work - 1952 - was the piece Le merle noir for flute and piano; the flute piece based entirely on the song of the blackbird. In his later works his evocations of birdsong become increasingly sophisticated, and with Le réveil des oiseaux reached maturity, the whole piece being built from birdsong: in effect it is a dawn chorus for orchestra. The pieces are not simple transcriptions; even the works with purely bird-inspired titles, such as Catalogue d'oiseaux and Fauvette des jardins, are tone poems evoking the landscape, its colours and atmosphere. Messiaen’s birdsong pieces are like musical pictures: designed to document a particular scene almost as faithfully as the sound recordings from which they take their inspiration. Paul Griffiths, a British music critic, novelist and librettist, observed that Messiaen was a more conscientious ornithologist than any previous composer, and a more musical observer of birdsong than any previous ornithologist. And list the nightingale - she dwells just here. Her joys, and doubt turns every rapture chill. Thy visions, than the fear that now deceives. Seems blushing of the singing it has heard. For from men’s haunts she nothing seems to win. The nest is made a hermit’s mossy cell. And the old prickly thorn-bush guards them well. As the old woodland’s legacy of song. Sorry but I cant resist a postscript - taken from Richard Jefferies 'A Story of My Heart' which has provided me with so much personal solace and inspiration. The Story of my Heart, by Richard Jefferies, 1883. The broadcast of Julian Anderson's orchestral composition "Harmony" inspired by The Story of My Heart can be heard here. It was played on the first night of the proms in 2013 and is about 9 minutes long. Harmony sets some lines concerning nature and time by the nineteenth-century mystical writer Richard Jefferies. Whilst walking in the Wiltshire countryside near a prehistoric monmument, Jefferies had a moment of revelation in which time appeared to stand still and he felt he had entered eternity. This moment was later written up as his strange autobiographical book The Story of my Heart (1883). Harmony’s text is drawn from this volume. The work emerges very quietly and has only a few brief moments where the full strength of choir and orchestra are revealed – analogous, perhaps, to the brief intensity of Jefferies’ revelation. To give a feeling of timelessness, the harmony of the music moves very slowly and gradually throughout, despite some very fast foreground figuration and a few passages of more vigorous rhythmic activity. For the same reason, a short duration requested was appropriate for this work: a flash of revelation can only be reflected in either a very brief but intense musical statement, or else in a very long one. Moderation is not an option when dealing with eternity. When we listen to music together in a concert, our normal sense of everyday, clock time is suspended and we enter the time of the music itself. So in writing a work such as Harmony, which celebrates eternity and timelessness, however briefly, in effect one is celebrating one of the special marvels of concert giving and of music itself. Another example of mood music which evoke natural soundscapes …. Kevin Kendle is a musician and composer working in the field of haunting, atmospheric instrumental music. He uses keyboards, synthesizers and samplers to create evocative soundscapes which are then layered with sounds of nature, which Kevin records near his home in the Hertfordshire countryside. His music is inspired by nature and landscapes and is very suitable for any situation where a calming atmosphere is desired, such as aromatherapy, therapeutic treatments or relaxation in the home. The careful programming and selection of sounds give the music an organic, timeless feel.